Jennifer is accepting new patients for Vestibular Physiotherapy. 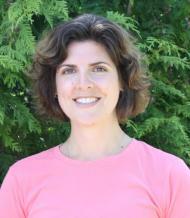 To book an appointment with Jennifer please call the downtown physiotherapy clinic at 250-381-9828. Ruan is a physiotherapist that combines his orthopaedic & sports health training and experience to best serve his patients. He practices at our downtown Victoria Cook Street Physiotherapy clinic located at 308-1175 Cook Street, Victoria, BC, V8V 4A1. 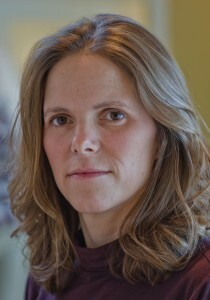 Faraley is an FCAMPT Physiotherapist and a graduate of Queen’s University with a Masters Degree in Physiotherapy She is a Certified Gunn IMS practitioner with additional training in pain science and the treatment of chronic pain conditions. She is fully qualified to treat the following conditions: female and male urinary incontinence (stress, urge, mixed, post-partum, peri-menopausal, post-prostatectomy), bladder dysfunction (overactive bladder, urgency, frequency), and pelvic floor pain syndromes (dyspareunia, vestibulodynia, vulvodynia, vaginismus, prostatodynia, coccydynia). Faraley is an active member of the Physiotherapy Association of British Columbia and the College of Physical Therapists of British Columbia. Faraley Vander Schilden has completed her Certified Gunn IMS training at the Institute for the Study and Treatment of Pain in Vancouver and is looking forward to helping her patients with Intramuscular Stimulation (IMS). In her spare time Faraley is an avid mountain biker and enjoys keeping things balanced with hiking, trail running, skiing, running and Yoga. Faraley treats patients at our downtown Cook Street Victoria Physiotherapy Clinic located at 308-1175 Cook Street, Victoria, B.C. V8V 4A1. Meena completed her Bachelor of Science in Physical Therapy at UBC in 1995 and a Master of Physiotherapy Studies degree (Musculoskeletal/Manipulative Physiotherapy) at the University of Queensland, Australia in 1998. Dr. Sran then went on to complete a PhD in the area of physiotherapy, bone health, osteoporosis and fracture prevention at UBC (2005) followed by 3 years of postdoctoral training in fall and injury prevention at Simon Fraser University. Meena has 16 years of experience working as a physiotherapist in private and public practice settings. Most recently she was the Physiotherapist in the Osteoporosis Program at the BC Women’s Health Centre for more than 11 years, as well working in a private clinical practice. 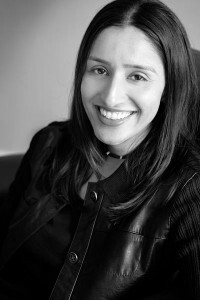 Meena has a special interest in the spine, has co-authored a chapter on neck pain, and has past experience working in a number of clinics in Vancouver(as well as Australia and New Zealand), including the Allan McGavin Sports Medicine centre at UBC and with the national women’s field hockey team. Meena also has experience in home care and personalized gym programs for older adults or individuals wanting an exercise program aimed at improving bone health and preventing falls and fractures. Meena is also the first author of the last 2 editions of the Osteofit Instructor Training Manual, in addition to numerous peer-reviewed journal articles. Dr. Sran has presented post graduate courses on bone health and osteoporosis for physiotherapists in many parts of Canada, as well as England, the United States, Ireland, South Africa and New Zealand. In addition to research, clinical and teaching activities, Dr. Sran is the Vice-President of the International Organization of Physical Therapists in Women’s Health and the Division Research Representative for the Women’s Health Division of the Canadian Physiotherapy Association. 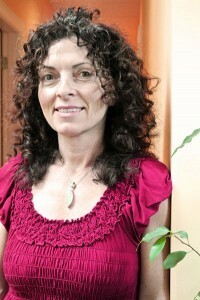 Meena is also the past-president of the Physiotherapy Association of BC. Dr. Meena Sran practices at our downtown Victoria Cook Street Physiotherapy Clinic located at 308-1175 Cook Street, Victoria, B.C., V8V 4A1. Unfortunately, Dr. Meena Sran does not provide Physiotherapy treatment services for Worksafe BC Claims. Heidi brings over 18 years’ experience in the Rehabilitation Industry, with expertise in the area of functional rehabilitative exercise to assist client s to return to daily activities, work, or sport in a safe manner. She brings experience in occupational rehabilitation with WCB clients, and has taught a variety of back health and wellness work site courses as well as academic courses at the college level. Heidi will work to design a customized program that is unique to her client’s specific needs and personal goals. 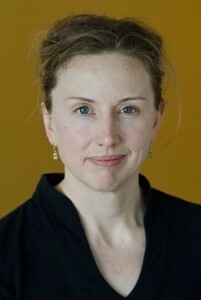 She is continually upgrading her knowledge base to incorporate new research in exercise assessment and prescription. Heidi will work closely with physiotherapists, chiropractors, massage therapists, physiatrists, medical doctors, and occupational therapists to fully achieve her clients and conjoining therapists’ goals. She has worked with adolescents to seniors, and clients with varying disabilities (including Downs Syndrome, Brain injury, CP, MS, vertigo/balance) as well as clients with various post-operative recovery treatment programs. Heidi strives to positively educate, encourage and empower her clients and aims to provide the necessary tools to maintain an active and healthy lifestyle.